Ricky Jay, the magician Steve Martin once called “the intellectual elite of magicians,” died in Los Angeles at the age of 72. His attorney, Stan Coleman, confirmed his death to Variety. Jay performed magic on The Tonight Show, The Late Show with David Letterman, and The Simpsons, as well as boasting a successful side career in acting. A frequent collaborator with David Mamet, Jay appeared in State and Main, House of Games, The Spanish Prisoner, and Redbelt. 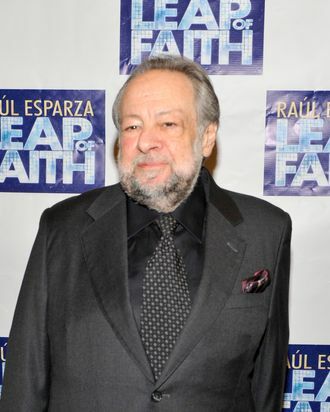 His one man show, Ricky Jay and his 52 Assistants, was directed on Broadway by Mamet and released as an HBO special in 1996. Jay also played Eddie Sawyer on Deadwood, as well as writing on the show. Jay began his magic career opening for bands in New York. He studied the history of magic and contributed many pieces on it to The New Yorker. He is survived by his wife, producer Chrisann Verges.